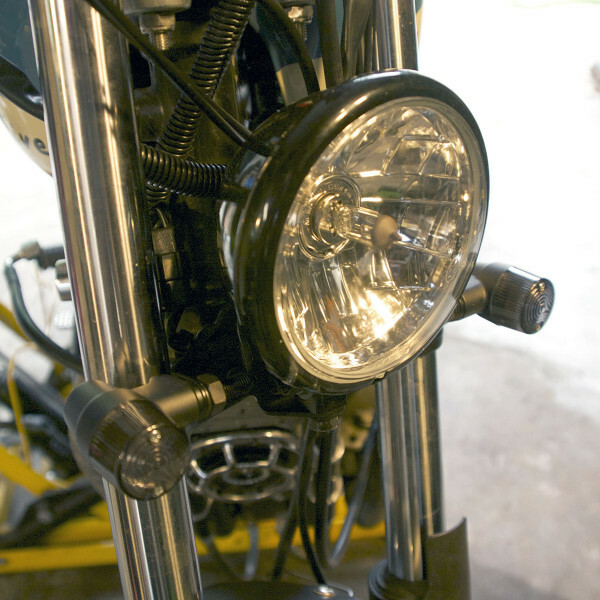 I have previously written about my experience installing the Bonneville Performance Mikuni Carb Kit on my 2008 Bonneville Black. 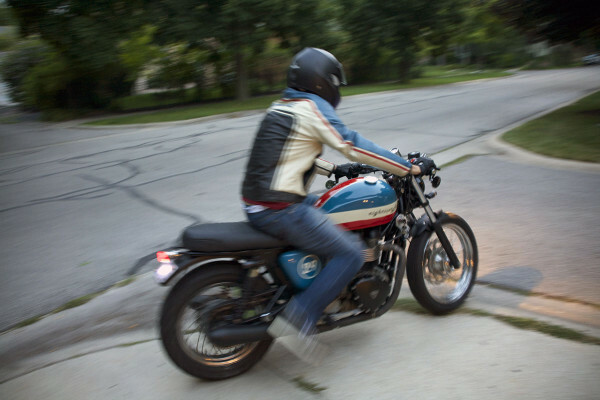 Since then, one Chicago area blog reader named Ervie contacted me because he owns a 2008 T-100, and wanted some advice on doing some of the same upgrades and mods on his bike. 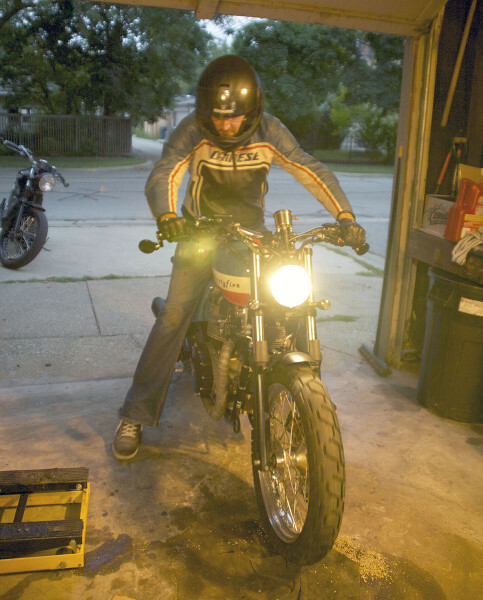 We recently got together at Randy’s Garage (my place) and did some wrenching together. 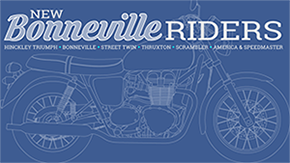 In the process of doing that, Ernie decided to purchase the Mikuni Carb Kit and the Oil Cooler Kit from Bonneville Performance. 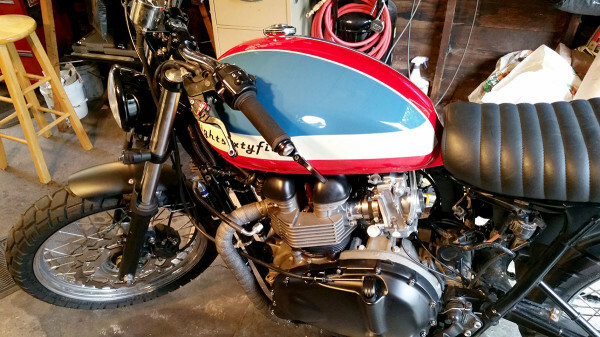 Ernie’s 2008 Bonneville T-100, with a sweet custom paint job! You can see the BP Oil Cooler install is almost completed. Thumbs up on final Mikuni HSR 42 carb sync before the test ride. 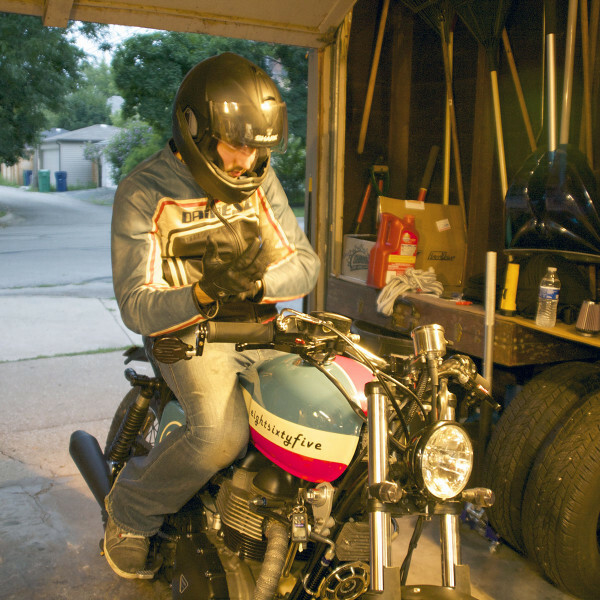 Suiting up for the first test ride with the Mikuni’s and the BP Oil Cooler. Rolling out… looking and sounding good. He’s off… sounding even greater! One of the issues we had to deal with became apparent when we went to install the K&N Air Filters… they wouldn’t fit. They were hitting the frame at that back end of the filter on Ernie’s bike… but I did not have this problem. So we took the side covers off of my Bonneville Black to compare and see if we could figure out the source of the problem. Here’s a comparison side view photo of each bike. 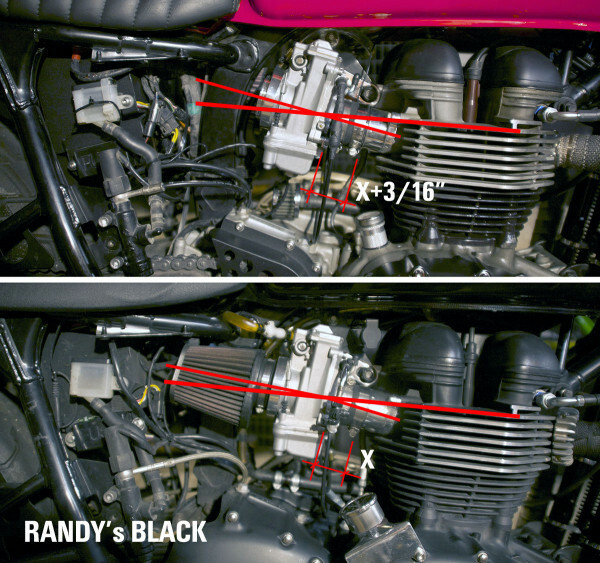 We discovered that the hoses that connect between the billet exhaust manifolds and the carbs were slightly longer on Ernie’s bike than on mine… roughly a 3/16″ to 14″ difference (see photo). 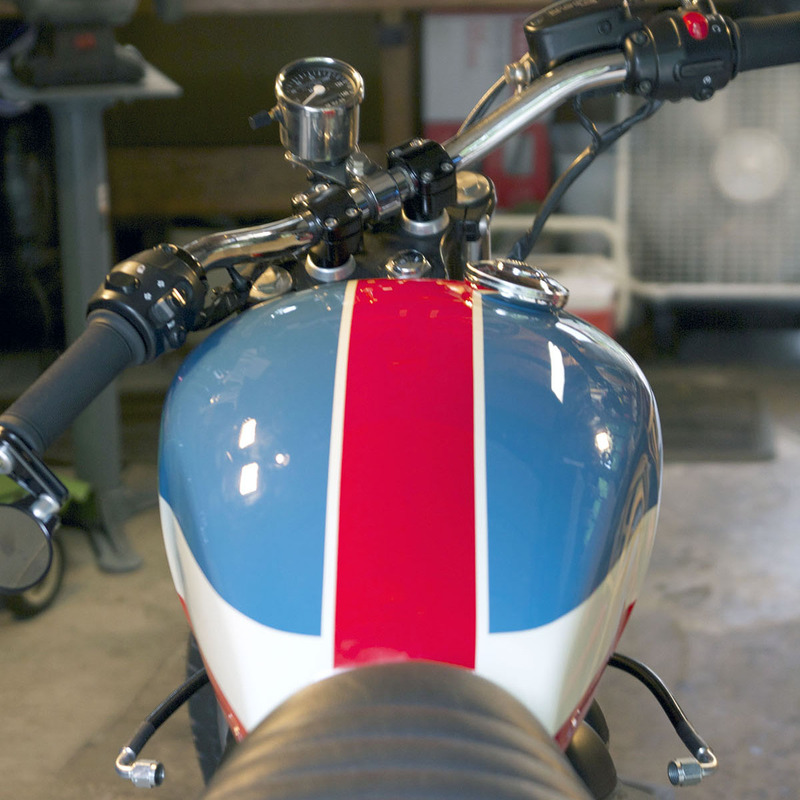 This difference pushed the back end of his carbs about 1/4″ higher than mine. There is supposed to be a slight drop in angle between the engine and the carbs… which his install did not have (at first). So, we loosened all the brackets and hose clamps, and were able to apply pressure to bring the back of the carbs lower, and then re-tighten everything. The carbs stayed down and we were then able to install the K&N’s. This experience reinforces the importance of the length of those connecting hoses. On the near future, we may swap those hoses out for the hard rubber OEM versions that have a slight angle designed into them, to see if they work better. Sorry, I do not have that information for you.